Welcome to Casa De Luz, The House of Light in Marion Estates—a neighborhood chock full of custom modern homes designed by Haver, Beadle, and Drake. 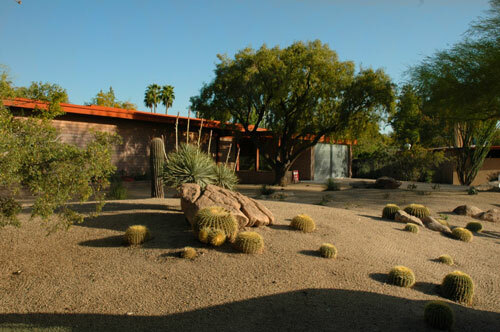 Designed in 1962 by Schreiber Architects, Casa De Luz is a superb example of yesterday’s architecture blended with today’s design. 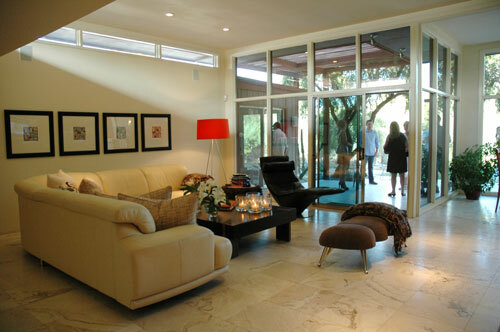 The home was recently rejuvenated by nationally acclaimed designer Jeffrey Rausch. Characterized by its walls of windows, interior glass doors, and clerestory windows, it is interesting to compare this custom modern home to its more modest counterparts in Village Grove. From square footage expansion to major systems, this is a brand new home with almost too many new features to list. New travertine floors, Gore Design concrete counters in kitchen and baths, Porcher fixtures, custom walnut cabinetry and complete surround sound.